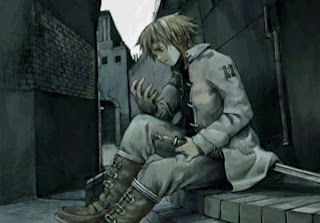 Here I thought that I would be out of that funk in no time and all would be well again. I thought wrong. 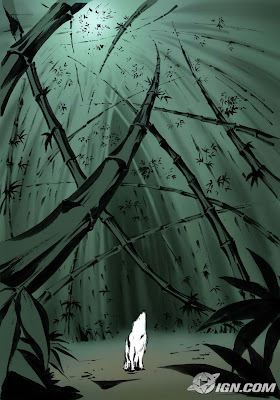 Okami helped me in a way, though shortly afterwards I decided to run away from the world again. I have been hiding in other virtual domains and avoiding the internet. And that just won't do. That just won't do at all. I think I better start coming clean of what I've been up to these last few weeks. So let's see, after finishing Okami I had planned on writing a wonderful little article. Alas, it still sits in draft mode and waits to be completed. So I will save any grand thoughts about Okami for that article, with every inention of posting it sometime soon. 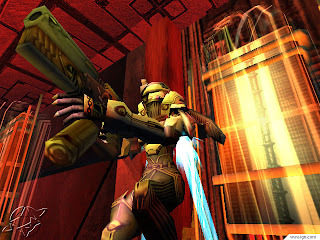 As noted in a previous post, I began playing Gunvalkyrie after Okami. Since then, I have finished that game as well, and twice at that. Once with each character. I thoroughly enjoyed the challenge of Gunvalkyrie, though I don't really feel like trying to get S rankings on all the stages, especially with the lack of unlockables. However, I am glad to know that I got proficient enough to do decently at the game. 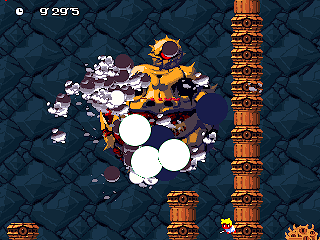 In between console bouts, I have been slowly picking away at Cave Story again in an effort to get through the secret Hell stage. I have been unable to get past the end boss (Misery & The Doctor) without using my health potion. I'm pretty sure I'm going to be hurting quite severely in Hell, so I need to keep that extra potion. Hopefully I'll get it eventually. In the meantime I'll be listening to the incredible Cave Story Remix Project music. Since everyone needs to have at least a couple of games going simultaneously to fight off the advances of game burnout, I was hunting for something else after Gunvalkyrie. 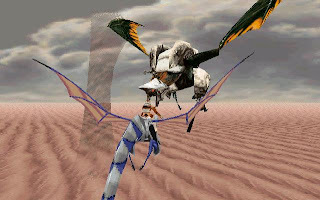 I figured I needed more old school glory and followed Smilebit to their consequent title: Panzer Dragoon Orta. I played the first episode, and quickly realized I was getting ahead of myself. That's right. Boxes were opened, the Sega Saturn was taken out, it was hooked up to the TV, and with a new battery installed old school awesomeness ensued. I knew I needed to brush up on my Panzer skillz, and I figured I'd start with numero uno. After all, Orta's got a pretty solid storyline, so it would only make sense if I had the background info under my belt. 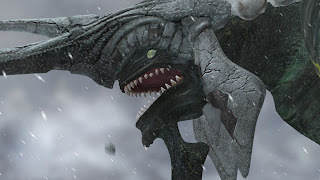 Of course Panzer Dragoon isn't very long, and upon completing it I moved onto Panzer Dragoon Saga. I'm on the Second disc now, and things are starting to get quite good. Among all these sessions I've played around with a few other games for a few moments here and there. Those titles include Nights Into Dreams, Wachenroeder, Mars Matrix, and a few indy games such as I'm OK, Lyle In Cube Sector (via IndyGamer), and Trouble in Cloud Land. But mostly I'm concentrating on Saga at the moment, and Orta after that. I'll post more in depth thoughts about those individual games in the future.